The SerialFlash Board provides additional memory space for your MCU. The EN25F80 circuit provided on the board enables the MCU to use additional 8Mbit flash memory via a Serial Peripheral Interface (SPI). 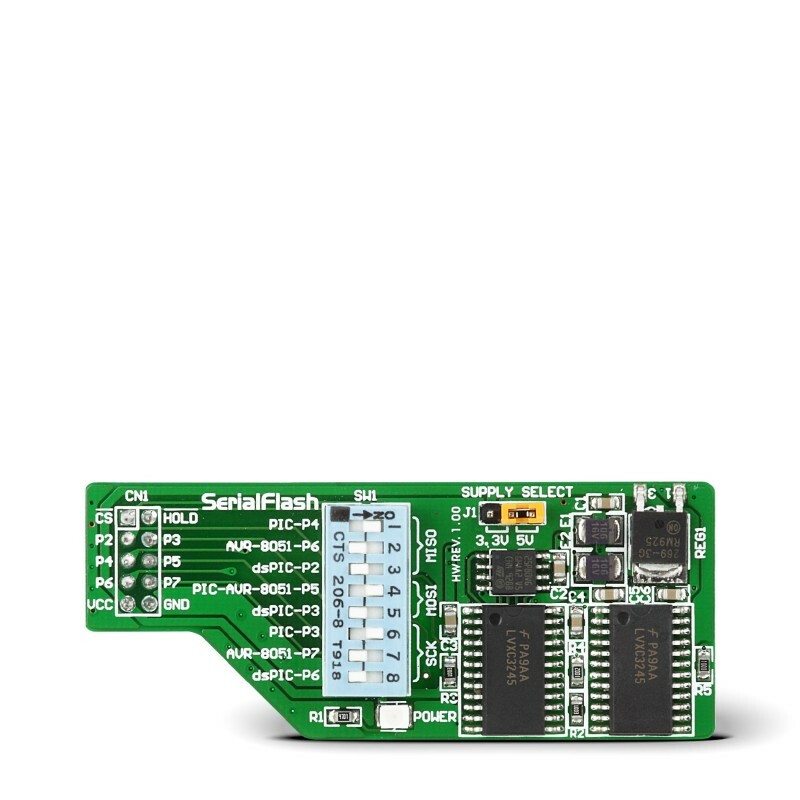 The SerialFlash Board features an 8 Mbit, low-voltage Serial Flash Memory EN25F80 with 75 MHz SPI bus interface. Serial-interface memory can be used in numerous electronic devices and applications. Initially, it is used to store preference data and configuration/setup data. Serial memory modules are the most flexible non-volatile memory modules utilized today. Compared to other NVM solutions, the EN25F80 memory module offers a lower pin count, smaller package, lower voltage, as well as lower power consumption.